The SimplyWorks® SEND-6 is a six channel wireless transmitter which acts as an interface between up to any six wired switches and any six SimplyWorks® receivers. The SimplyWorks® SEND-6 can be used with any SimplyWorks® receivers to give multiple switch access using any of the various switches that are available, provided they are fitted with a standard 3.5mm jack plug. 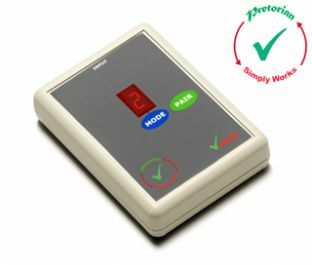 A choice of switch functions are available with the SimplyWorks® SEND-6 using the integrated, digital display. 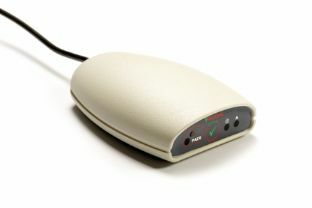 These functions are identical to those seen on the SimplyWorks® SWITCH 125 but with the addition of mouse emulator functions. Works with any SimplyWorks® receiver for computer or stand-alone switch access. Six 3.5mm jack socket inputs from any switches. The SimplyWorks® Receive is a USB receiver and interface which forms the hub of the SimplyWorks® system when used for computer access and will support up to six SimplyWorks® transmitters of any kind. Make your wired switch wireless! This single channel wireless transmitter acts as an interface between any wired switch and any SimplyWorks® receiver.